Sergei Romanov (b. 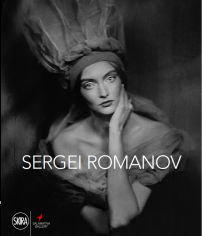 1970) is one of Russia’s most preeminent photographers. Entirely self-taught, his distinctive ambrotype images feature hyper-stylized female nudes and other subjects that, in their dark surrealism, nod to Russian avant-garde forebears like Alexander Rodchenko and László Moholy-Nagy. His work has been featured at Art Paris Art Fair 2016, among other art fairs, and is included in the permanent collections of The Museum of Moscow and Kunstmuseum Luzern, as well as the private collection of Juan Antonio Pérez Simón.